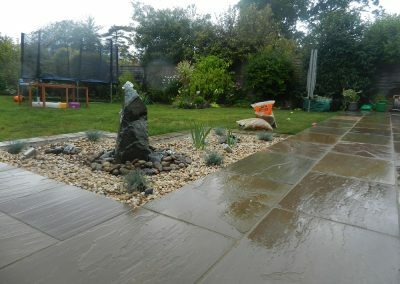 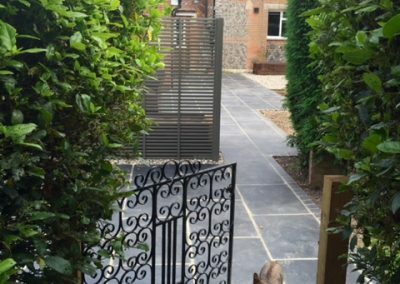 The clients wanted a contemporary courtyard garden for their modern home with a particular focus on creating a spacious, split-level area for relaxation. 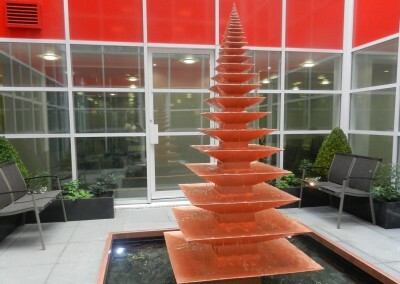 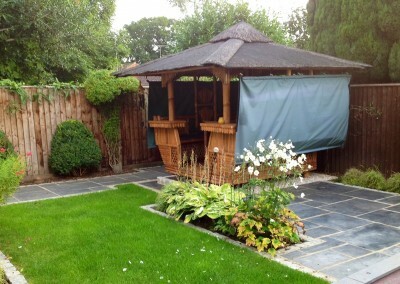 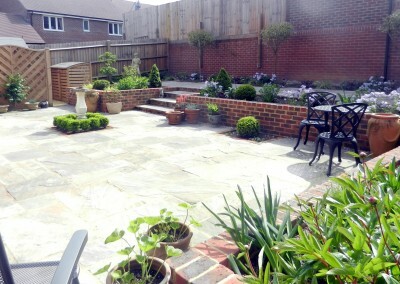 The existing boundary fencing and garden ornaments and topiary were to be incorporated into the new design. 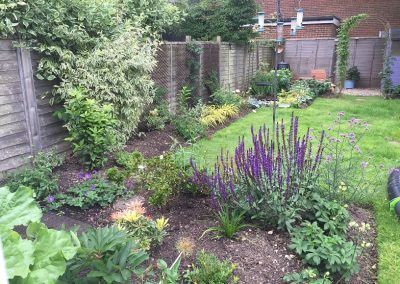 The garden needed to be designed to be as low maintenance and create as little waste as possible. 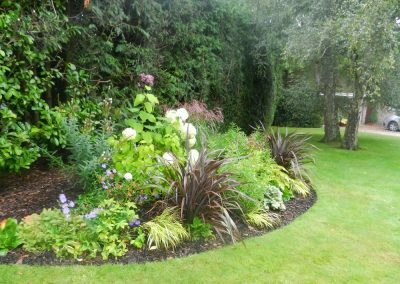 Planting was designed to create year round interest with slow growing compact evergreens and some carefully selected perennials. 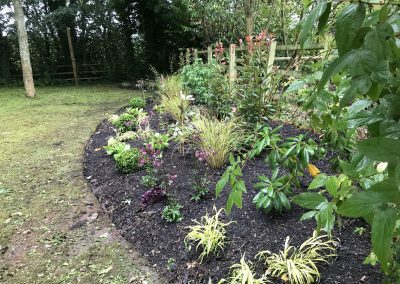 Practical hard landscaping with a level change was created while a raised bed created interest. 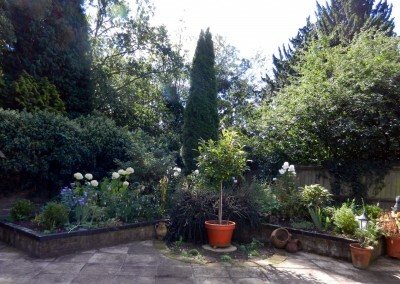 Audrey was careful to avoid any invasive or thorny plants, gravel and grass and created an idyllic courtyard garden with a spacious patio area to catch the sun. 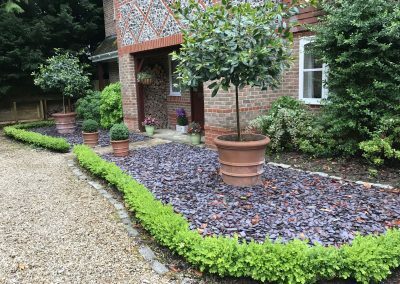 The two levels create interest from every aspect and the structured planting looks established while the garden shed and bin areas are located together and cleverly concealed to avoid detracting from the garden’s stylish design.